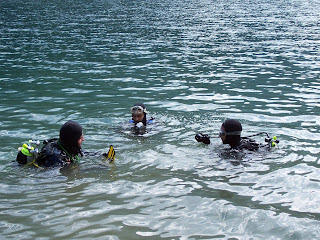 Since 2005 we tried to support Professor Tiziano Camagna and Andrea Forti effort in investigating the underwater forest in Tovel Lake. A preliminary report and some results have been publish in the magazine "L'eco delle Dolomiti". 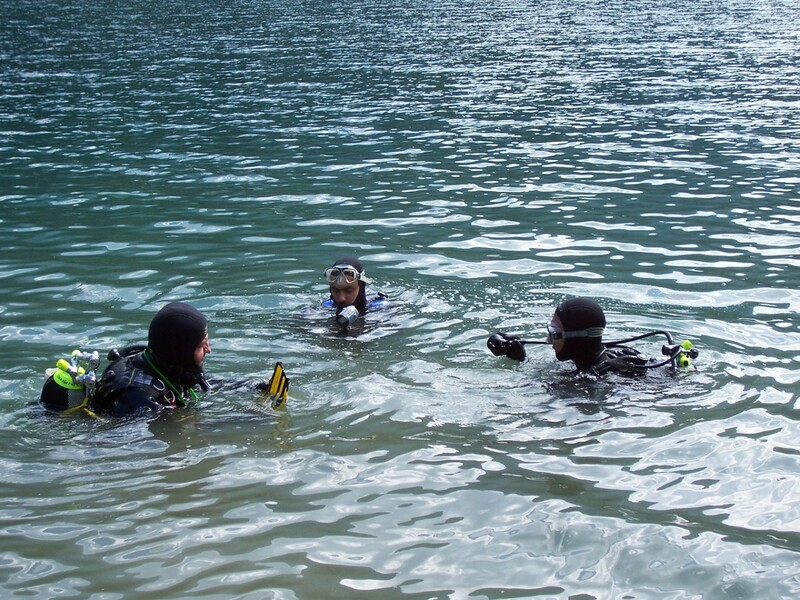 Hopefully this interesting project will go on in the next years: it is also a perfect playground to test new techniques of documentation for underwater archaeology. 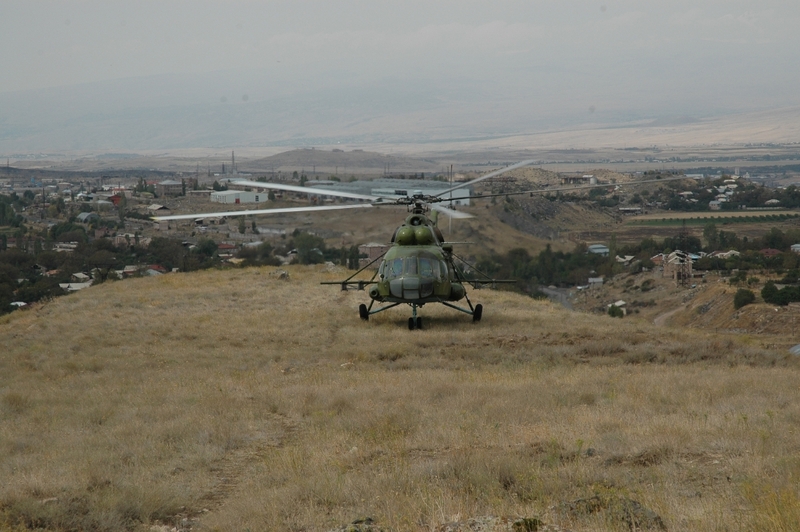 In 2006, during the Aramus Excavations and Field School, we had the possibility to partecipate in a subproject regarding the remote sensing of Aramus hill. The project was leaded by Ing. Klaus Kerkow with the help of Christine Hanisch. 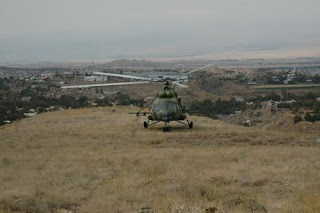 Luckily on that occasion there was the support of Armenian Ministery of Defence and of the Armenian Air Force, which provided an helicopter (as you can see in the picture), but, of course, this was an extraordinary situation. Since that year we tried to find a system to get remote sensing informations without the need of expensive or difficoult solutions (like helicopters or ultralight aircrafts). In 2008 we started a preliminary research which ended with the construction of an UAVP (Universal Aerial Video Platform), an open source UAV (Unmanned Aerial Vehicle). In the video below you can see the first flying test of our prototype (thanks to Wolfgang Mahringer, the main developer of UAVP project, who helped us in building our drone). It happens somethime when we are digging: suddently an empty space appeasr under our feets. Normally it is just a small hole, but in some cases it is something bigger (and can be dangerous, expecially if buldozzers or other machines are around). In this video we show how we faced such a situation during an excavation inside a church. Using some material we had in the field (a broomstick, some adesive tape, a led flashlight and a wireless camera with a monitor from the remote sensing device of our UAVP), we build a DIY endoscope to check the underground situation. The interesting thing (IMHO) is the possibility to recombine open hardware components (from the UAVP) in a similar way to open source software. After Nicola Schiavotello's report in ArcheOS dev Mailing List I am trying to compile Biosphere3D in ArcheOS 4, to check its potential for an archaeological use. The software looks good, but actually is supported only for Windows. I alredy tried to install it throght WINE or to check it in a Virtual Machine, but without results (anyway looks like it is not a good idea to virtualize this software, it needs a lot of RAM). 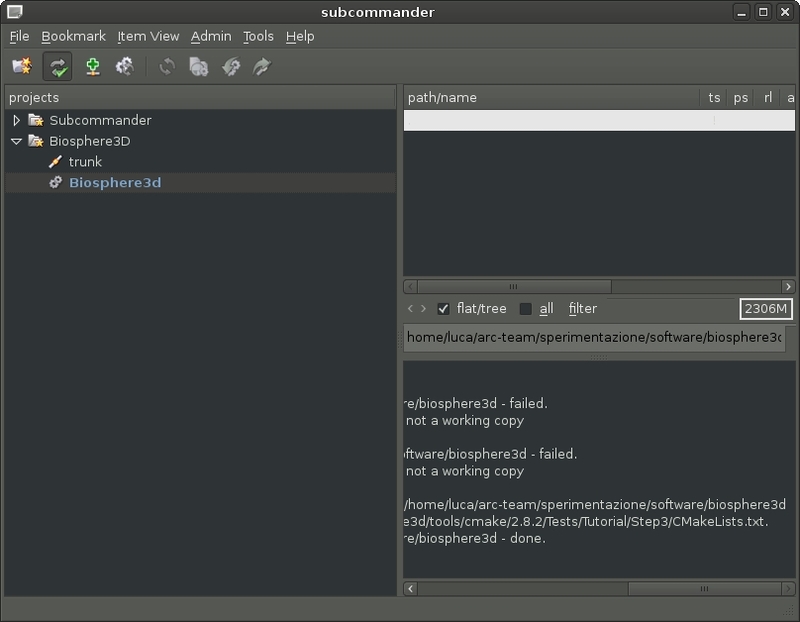 Actually, as you can see from the image below, I am downloading the source code via svn (with subcommander). 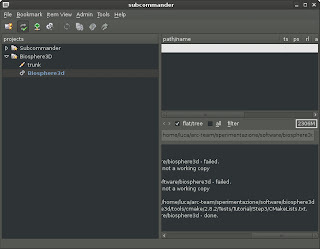 I hope to post good news soon about its compilation under a GNU/Linux system.